The Lady Who Broke the Rules is set in 1816, at a time when the slave trade was being challenged in both the old and the new world. In the United States, the trade of slaves was abolished in the north in 1804, after which the manumission of slaves in those states gathered momentum. In the south however, where cotton was in increasing demand (paradoxically thanks to the north’s industrialisation of textile manufacture) slaves were a hugely important part of the economy, and resistance to abolition was significant. Virgil, my hero, was born into slavery in the south and freed in the north. 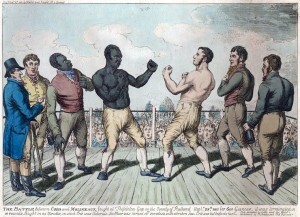 Some slaves, such as the legendary boxer Tom Molineaux, earned their freedom through prize-fighting. Virgil was sold for rebelling, but he was one of the fortunate ones who ended up in the north, where he worked his way to true eminence and used his wealth to give others the chances he had had to make for himself. Though in reality this kind of success was rare, it was not unheard of. 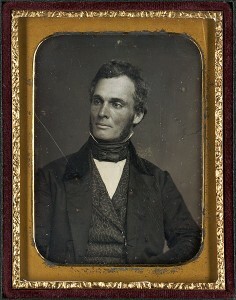 Robert Purvis is just one example of the black philanthropists from whom I took inspiration for Virgil, but his entrepreneurial side is an amalgamation of a whole number of black men and women who flourished in Nineteenth Century Boston, renting out real estate, setting up restaurants and beauty parlours, making shoes and clothes for the mass market, taking on the Establishment by training as lawyers and doctors. Across the pond in Great Britain, many aristocratic families had derived a large part of their wealth from plantations in the West Indies which relied on slavery, but their influence was on the decline. 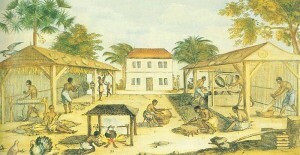 The actual trade of slaves became illegal in 1807, and although it was not until 1833 that slavery itself was abolished, by 1816 the growing Abolitionist movement, coupled with the decline of the economic significance of the West Indies plantations, made the idea if not the reality of slavery much less politically and socially acceptable than it had been a decade or so before. 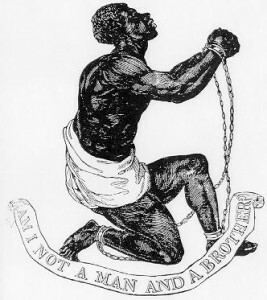 Josiah Wedgwood made his famous cameo originally as a seal for the Society for the Abolition of the Slave Trade in 1787. It proved hugely popular, and was made into a variety of jewellery worn by male and female abolitionists. From the point of view of this story, what interested me most about the British abolitionists was how many of them were women. It was one of the few political causes in which it became acceptable for females to participate, and in which women took a leading and influential role, so I relished the opportunity to create a heroine who could, without it seeming a historical anachronism, be active politically and philanthropically. Kate meets Virgil at Maer Hall, the home of Josiah Wedgewood’s son (also Josiah) – they are introduced by Sarah, Josiah’s daughter and also an active abolitionist. Not at all connected with this story, but interesting all the same, Josiah Wedgwood II was father of Emma, who went on to marry the naturalist Charles Darwin. When we eight authors got together to outline the story for the Castonbury Park series, one of the first things we did was choose a setting. With the group spread over several countries and time zones, we decided it made sense to base the house and grounds on a real stately home. By coincidence, two of our team had recently visited the beautiful Kedleston Hall in Derbyshire, a Palladian house built by Robert Adam which looked just perfect for our rich and aristocratic Montague family. We had floor plans, descriptions, photos and vital first-hand knowledge, which made it much easier to ensure we were all consistent. As the stories (nearly all written in parallel) progressed, we did change a few things. To the lake, we added an island, and on its shores there was a bath house. Inside the house, the family rooms and the duke’s suite changed the purpose of the rooms in our ‘real life’ model. And when the mysterious claimant to the title arrived, we created a dower house for her to stay in. 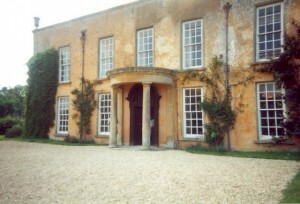 Luckington Court will be familiar to those who have watched the BBC production of Pride and Prejudice as the home of the Bennets. 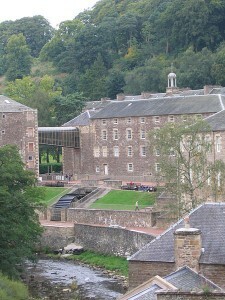 I first visited Robert Owen’s model village of New Lanark some years ago, intrigued by what I’d heard from one of my Open University tutors (who has written a number of books on the subject). Founded in 1786 by David Dale, the village is not far from Glasgow, set on the shores of the River Clyde, which drives the mill wheels. 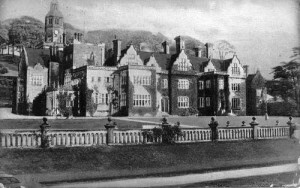 Dale’s son-in-law, Robert Owen, was a social reformer and philanthropist, and it was his vision which made New Lanarka model for what became known as ‘utopian socialism’. In my story, Kate takes many of Owen’s principles for education and applies them to her own village school. Heated classrooms may not sound radical but in 1816, they were considered wholly unnecessary! Active participation in lessons (such as battle re-enactments), the teaching of younger pupils by older ones, adult education and at the heart of it, the principle that learning should be enjoyable, are just some of Owen’s ideas which Kate imported. The graveyard which Virgil visits at the end of the book is known in Glasgow as the Merchant’s Graveyard, in the heart of the Merchant City. In the late 18th Century, the city of Glasgow was the hub for over two thirds of all tobacco imported to Great Britain. 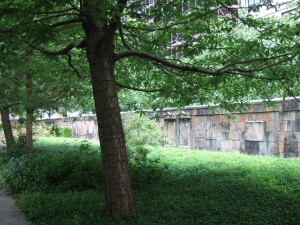 After the United States won the fight for independence, and with the decline of the slave trade, so too did the tobacco trade decline, but there is no doubt that many of the leaves packed into hogs heads by Virgil from the plantation in Virginia would have come through the markets in Glasgow, just as he imagines on his visit there. You can read more about the Tobacco Lords and the trade in Glasgow here.